Tom runs his eyes over the fantasy relevant forwards from this year’s draft crop. 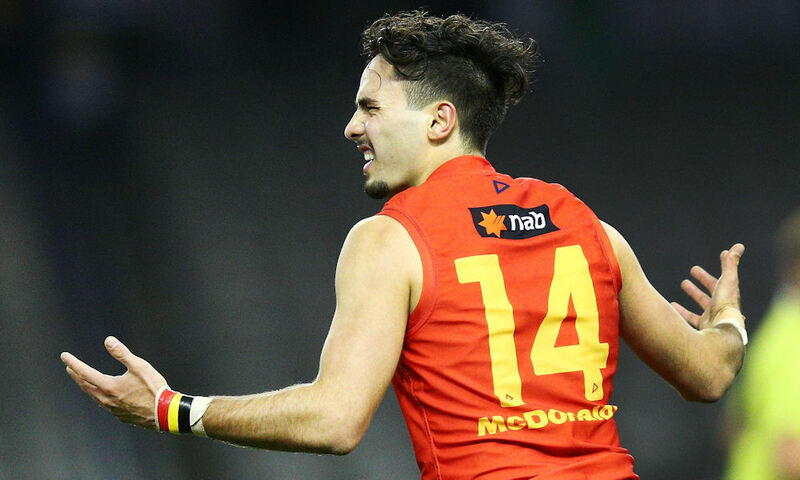 As we turn our eye to Fantasy 2019, Tom has been looking at all of the draftees throughout the season and shares his watch-list for the upcoming season. Today he profiles some forwards to keep an eye on over the pre-season. The Crows made a splash on the first night of the draft and walk away with a small forward boasting genuine character on their hands. What he lacks in size, McHenry makes up for in shear determination, aggression and tireless gut-running. He packs a punch, is the best tackler in the draft pool and arguably the most aggressive, in-your-face type operator to come through the ranks in some time. Given Adelaide’s requirement of forward pressure, McHenry fits that bill precisely and should play games in his debut year. The obvious comparison can be drawn to Jack Higgins, similarly a small forward who will be looking to push into the midfield in years. He too is equiped with only average speed but ferocious tackling intensity, creativity and high character on and off the field. Although he didn’t find as much of the ball as Higgins did in his draft year, McHenry was still an effective scorer, averaging 16 disposals, 7 tackles and 80 points from 12 matches. Certainly one to watch. Few would be surprised if Rankine proved to be the best player from a draft riddled with a selection of geuine top-end talent. Champion Data recently ranked the prodigious talent as the best prospect in the draft, having won back-to-back All-Australian honours at the previous two Under-18 Championships. Rankine is a magician with ball in hand, using his elite speed and agility to outmanoeuvre his opponents. At-times this, along with a couple of on-field disciplinary issues, gets him in trouble, but everything else Izak does usually turns to gold. Having featured prominently for West Adelaide’s SANFL side, Rankine is ready to play senior football at the Gold Coast, where he will certainly be given an early opportunity to make an impression early. Although he isn’t a pressure forward, averaging just the 2.2 tackles in recorded games, Rankine hits the scoreboard frequently and can win his own ball in tight. No one else in the draft has his blend of evasiveness, goal sense and athleticism. JL was selected by the Gold Coast with the second overall pick of the night. Lukosius has been a star of the junior landscape for two years now, dominating games from centre half-forward for Woodville-West Torrens and South Australia but also showing class at the other end of the ground. Lukosius is yet another South Australian to have grown accustomed to SANFL league level, having kicked four goals as a 17 year-old in his clubs preliminary final back in 2017. ‘Luko’ is not your conventional tall forward, he doesn’t take the big pack marks consistently, but instead beats his opponent on the lead and finds so much space, thanks to his unique speed and high endurance. Perhaps the best kick in the draft both in general play and for goal, Lukosius has so many ways he can beat his opponent and will certainly feature up forward for the Suns despite his strong versatility. Averaged 13 disposals, 6.4 marks, 1.5 tackles, 1.4 goals and 74 fantasy points this year. Woodcock really thrust himself into consideration late in the season, starring with North Adelaide as a small forward, booting 15 goals in nine games. Despite playing just one match for SA during the Nationals, he starred for the Roosters, averaging 13 disposals, 4.2 marks, 3.7 tackles, 1.7 goals and 70 fantasy points Whilst he may not possess the exciting speed found in many small forwards, Woodcock is strong overhead for a player of his size, clean at ground level and makes the most of his disposals. Also capable of filling a role as an inside midfielder (where he spent much of his junior years), Boyd is able to play straight away with the Power if Ken Hinkley and his coaching staff see fit. There’s a number of small forwards well in the frame to make an impact in 2019, but Williamstown’s Ben Cavarra has the capacity to make the biggest splash of them all. The ‘Dogs lost Luke Dahlhaus to free-agency, leaving a gap in that midfield/forward role. They also traded in former Richmond goal sneak Sam Lloyd and already possess the likes of Tory Dickson and Billy Gowers. Cavarra is far from a certainty to be included in the sides best 22, however this guy has had to work incredibly hard for an opportunity and won’t be stopping anytime soon. With his elite work rate, super athleticism (speed, leap and endurance) and ability to both pressure and hit the scoreboard, he would be a fine addition to the ‘Dogs side. A mature ager to keep an eye on. Ian Hill was one of the most talked-about prospects heading into 2018, however injuries hindered his playing time and prompted inconsistency in his performances when he was able to get on the park. That being said, recruiters certainly didn’t forget the magic he produced last season, hence why he was selected by the Giants at pick 24 overall. A small forward who perhaps looks even better on a wing, Hill has a developed frame and, although was unable to test at the draft combine, what appears to be a solid endurance base. Depending how highly the Giants rate him, he may potentially be behind the likes of Brent Daniels and Zac Langdon for that small forward role alongside established superstar Toby Greene. The question mark may also be whether he can overcome the persistent injury woes which have plagued the cousin of Fremantle’s Brad and Stephen. Averaged 75 points from three games – above average for a player of his size and role/s. no mention of nathan kreuger?